Want to see corals, plenty of tropical fish and turtles, but not ready to dive? 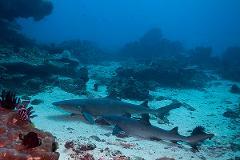 Padang Bai snorkelling sites are great to see just that. Snorkelers & free divers of all levels will enjoy sessions at 2 different local sites.